The BVRLA and its members have been praised for the quick way in which it responded to a recent spate of fraudsters advertising bogus vehicle leasing deals on social media. The last week has seen the association work with regulators, the police and national media to raise awareness, warn consumers and protect the reputation of the industry. Some scammers were even posing as BVRLA members to lure in customers with social media headlines targeting those with poor credit ratings. Within hours of becoming aware of the threat the BVRLA issued a press release warning people not to respond to vehicle leasing adverts offering ‘No credit checks’ and ‘No deposit’ and asking people to ‘Direct Message’ via text to get the deal. The BVRLA flagged the risk to the authorities, including the Financial Conduct Authority (FCA), which has reported the issue to its unauthorised business division and financial promotions team. 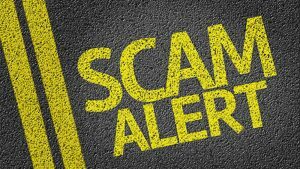 The FCA has thanked the association for getting the message out so quickly and acknowledged that this sort of scam is becoming more prevalent. The FCA also provides content on its website to help people protect themselves from scams, including directing them to the Financial Services Register to check whether a firm is authorised or not. Action Fraud was quick to support the BVRLA’s campaign, promoting the story on its website. It was also picked-up by the mainstream media, including The Sun. The association is urging anybody who comes across this kind of scam to report it to Action Fraud quoting the reference: NRC 1808 0249 5417. Members are also encouraged to spread the word. You can read the BVRLA press release here: Scammers use social media to offer bogus vehicle leasing deals. Source: The British Vehicle Rental and Leasing Association (BVRLA) September 2018.